Ultimate Kindle Fire Guide, Guide of Kind Fire for Kids, is the collection of the best guide, tutorials, manual on how to better use Kindle Fire tablets (Kindle Fire HD, Kindle Fire HDX 7 Kindle Fire HDX 8.9 and all later Fire HD (Fire HD 6, Fire HD 7, Fire HD 8, Fire HD 10) and Fire HD Kids edition.. The main focus of the ultimate Kindle Fire guide, or guide of Kind Fire for kids, is how to convert the affordable tablet into the best edutainment machine for your kids. Amazon offers great contents and services that many parents are not aware of. These guides will teach you, step-by-step, how to get the most out of your new Kindle Fire HD, Kindle Fire HDX 7 and Kindle Fire HDX 8.9). Writing Kindle Fire guides are not a simple job because different users may have quite different backgrounds. 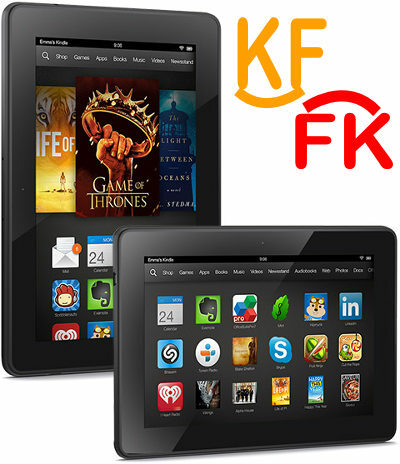 The Kindle Fire guides on this page are specially tailored for parents with limited experience with Kindle Fire tablets. Experienced users can also find some in-depth tutorials on this page. Most of the screenshots of the Kindle Fire guides in this site are from Kindle Fire HDX 7 or Kindle Fire HDX 8.9. But almost all of the tutorials also apply to the new Kindle Fire HD (2013) or even older Kindle Fire tablets. We will try to point this out in each guide. This is an on-going project. We update the Kindle Fire guides regularly. If you cannot find the guide you need, you may check back later, or leave your feedback in the comment box below. How to install Flash player for your Kindle Fire tablets? How to take screenshot on Fire HD, Kindle Fire and Kind Fire HDX tablets? How to set up a Google account on Amazon Fire tablet? How to install Google Play Store on Amazon Fire Tablet: Fire HD 7, Fire HD 8 and Fire HD 10?